Office of National Statistics (ONS) has shown an increase in crime of 13% within North Yorkshire – North Yorkshire Police say that is largely due to more accurate recording of crimes. 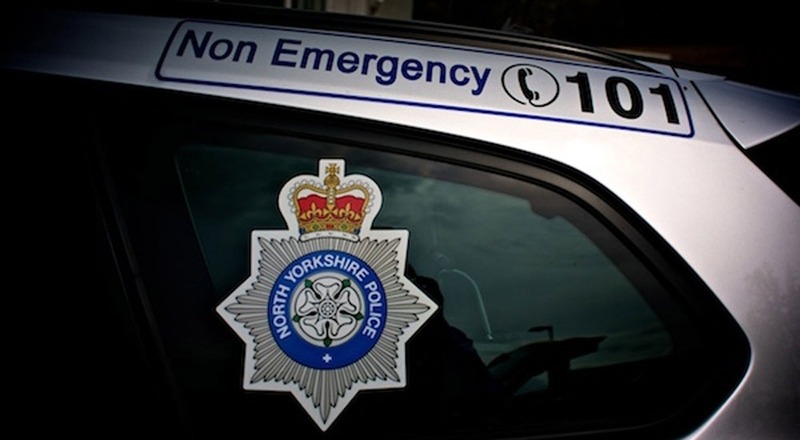 North Yorkshire Police say that the rise sexual offences is regarded as a positive reflection of the confidence victims have in North Yorkshire Police, particularly those making historical complaints in the wake of high profile historical sexual abuse cases, plus support from dedicated facilities for victims of sexual assault. There were a total of 42,279 crimes in North Yorkshire during the 12-month period, giving a crime rate of 51.6 per 1,000 of the population. However, it is still the lowest crime rate in England with the national average standing at 85.7. This was in response to Her Majesty’s Inspectorate of Constabulary and Fire and Rescue Service’s (HMICFRS) Crime Data Integrity Inspection Report, published in February last year, which highlighted administration issues rather than letting victims down. We were expecting this upward adjustment in the crime figures on the back of the extensive programme of work that has been undertaken to improve our crime recording processes. This has included a dedicated team that was put together to drive the necessary changes, which has seen a roll-out of additional guidance for officers and staff and within the Force Control Room. We are satisfied that North Yorkshire Police’s crime data integrity is back on track, and it is very pleasing that we have been able to achieve this while remaining the lowest crime area in England. As ever, we sincerely thank our officers, Special Constables, PCSOs, police staff, volunteers and our partner agencies for keeping our communities safe. It is important to stress that their professionalism and the caring service they provide to victims of crime has never been brought into question. I can assure residents that North Yorkshire Police remains fully focused on tackling crime through strong neighbourhood policing and our continued commitment to proactive operational activity to target and deter offenders, both within our area and those who travel across the borders. While these figures paint a negative picture, this rise in crime was expected – as I set out in October when the last figures were released. To maintain the trust of communities, it is important that all crimes that do take place are properly recorded – and this increase is partly as a result of that. Any rise is, of course, worrying through – and I understand that people will be concerned. There has been a small genuine increase in crime, but North Yorkshire remains statistically the safest place to live in England, and I am proud of the hard work and professionalism which makes that so. The forensic focus on recording crime accurately must continue, even if that makes for alarming headlines. We can only tackle crime effectively if we know what crime there is and I will be keeping a close eye on this work, as well as the response the Chief Constable is putting in place to the genuine increases in crime. More generally, I will be seeking to ensure the force is as efficient and effective as it can be, as well as properly funded, so the maximum possible resources are directed to the frontline to protect and support communities across North Yorkshire and York with more visible, local policing.